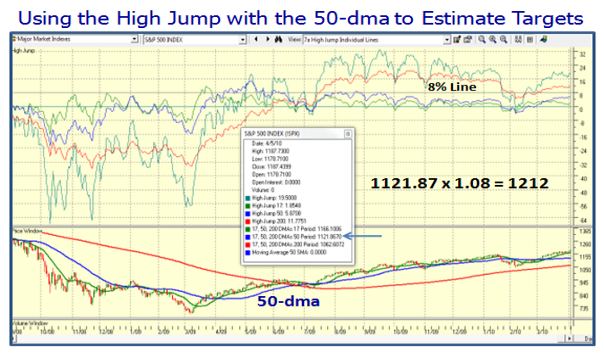 Ian Woodward's Investing Blog » Stock Market: How High is Higher? Stock Market: How High is Higher? 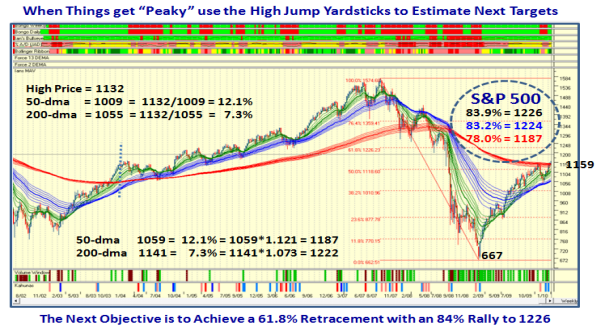 When things get “Peaky”, turn to the High Jump Tool I have taught you to use time and time again. 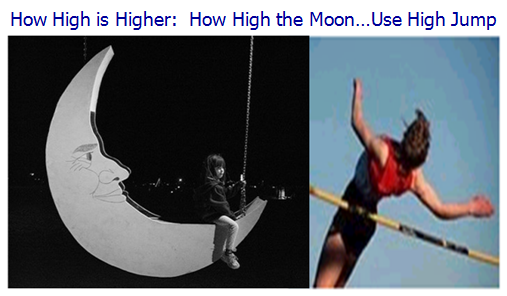 Just type in “High Jump” in the Search window of this blog and you will see how I have used it previously with success. Use 8% above the 50-dma and you have a good feel for what is the next level. The Bottom Line Message is that one or two more 1% to 2% up days and the Market will have met these Targets. Also, the VIX is now down to 16.50 or so, and it won’t be long before it seeks 15ish if the market keeps rising. Options Expiration is on Friday the 16th. of April, and Earnings Reports will begin in full force the following week for three weeks. Sooner or later expect the fireworks to start. To be forewarned is forearmed, but nothing has cracked yet. 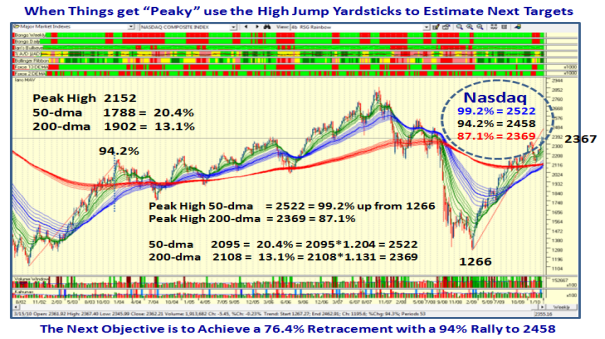 This entry was posted on Tuesday, April 6th, 2010 at 3:59 pm	and is filed under HGS Principles, Market Analysis. You can follow any responses to this entry through the RSS 2.0 feed. Both comments and pings are currently closed.